I woke up this morning wanting a little extra time. This past week I’ve had too many irons in the fire. Saturday has arrived, but my “to-do” list has a list of chores a mile long. With my head still on my pillow, I began to mentally consider all I needed to do before the day’s end. I quickly realized I had more items to complete on my list than I had hours in the day. I wished, not for the first time, that there was a way to get an extra 3 or 4 hours added to my daily allowance of time. With a few more hours, I would have time to be responsible by tending to necessary housework, piddle around with my own activities (read, write, garden, and sew … and, of course, I want to do them all … today, please), while still fitting in that 2 hour afternoon nap. Oh, I can’t forget I’ve got people to feed. Naturally, in order to do that, I’ll need to grocery shop. I hadn’t even gotten out of the bed, and already I felt worn out! Truth be told, I could use a few lessons in time management. Occasionally, during the course of our marriage, Jon has indicated there might be a need in my life for some prioritizing skills. And while I don’t really suffer from an inability to organize myself, doing so consistently has proven to be another lacking area in my life. Am I never satisfied with what I have? The truth is that on my own, I will never have enough. Thankfully, I don’t have to depend upon myself to supply all of my needs. God has the power to provide you with more than enough of every kind of grace. That way, you will have everything you need always and in everything to provide more than enough for every kind of good work. E does not stand for needing EXTRA. Rather E is for ENOUGH, which is what I will always have when I put my trust in God. Glad to see you are still keeping on with us. 🙂 Definitely looking forward to week 2, Jo. Thank you! God’s grace is one of the things that keeps me going each day. Without it, I’d truly be lost. Thanks for stopping by my blog. God bless! Quality over quantity. 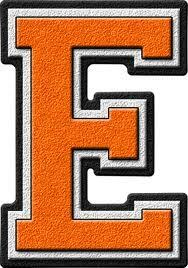 E for enjoyment?